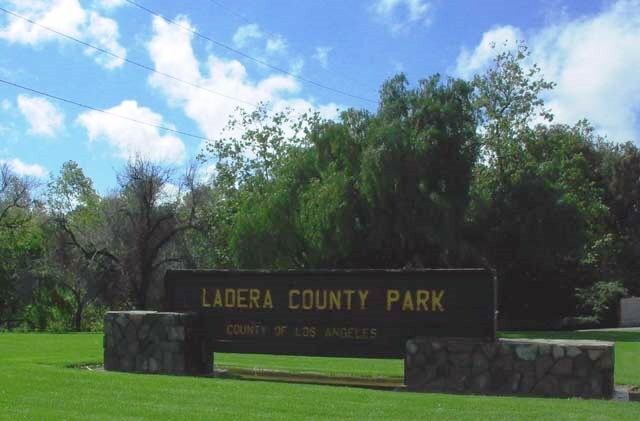 The potential project proposes to collect stormwater runoff from the upstream 110-acre drainage area and convey them into an underground retention basin at Ladera Park. The runoff from the drainage area can be used for irrigation purposes or be infiltrated into the ground. The retention of storm water also helps alleviate flood risk in the downstream flood control system. Low Impact Development amenities will also be incorporated into the project. The project is still in the planning phase. View project details and updates. The proposed project is in the preliminary phase and entails the construction of a diversion from existing storm drains to an underground infiltration gallery below the park open space. Recreational use will be maintained, bio-swales will be installed along Quincy Street, and groundwater recharge will occur via the underground infiltration gallery. 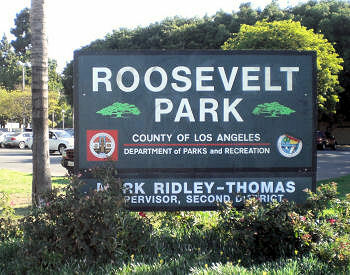 The project will incorporate outreach signage in the community center and the park to educate the community on the benefits of the project. The proposed project would collect dry weather runoff and stormwater from approximately 200 acres of the County unincorporated community of Florence-Firestone and allow it to soak into the ground. The project will protect the water quality of local rivers and streams, increase the local water supply, and enhance park amenities. The proposed project will construct a green street to collect dry weather runoff and stormwater that flows through 103rd Street and portions of Ted Watkins Park. The green street infrastructure will be accompanied by street rehabilitation, including improved sidewalks, curbs, and asphalt pavement. The project will protect the water quality of local rivers and streams, and provides multiple enhancements to the street and its users. 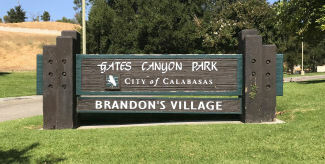 The planned project proposes to collect stormwater runoff from the upstream 105-acre drainage area and divert flows into an underground cistern under Gates Canyon Park. Runoff from the drainage area will be saved and treated for irrigation purposes or be infiltrated into the ground. Retention of storm water also helps alleviate flood risk in the downstream flood control system. This project is currently in the planning phase. 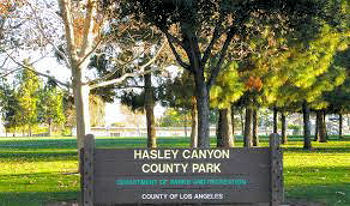 The proposed project will capture and divert urban and stormwater runoff from the existing DDI 23 stormdrain into a pre-treatment system, then into underground infiltration best management practices below medians along Northside Drive and Southside Drive in the unincorporated County area of East Los Angeles. 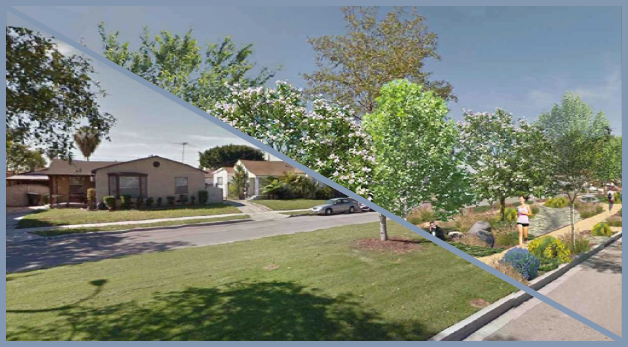 The project will improve stormwater quality by preventing stormwater pollutants from ultimately discharging into to the Los Angeles River. In addition, the project will increase local water supply through infiltration into the groundwater basin, provide community enhancement, and provide educational and outreach opportunities. 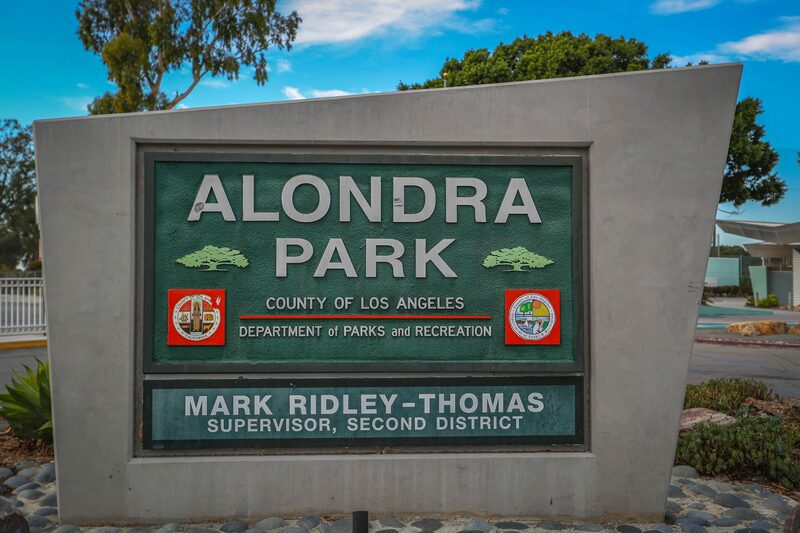 The Alondra Park Regional Stormwater Capture Project is located in the unincorporated area of El Camino Village, Lawndale, CA. The Project will capture, pretreat and store 38 acre-feet of urban runoff and stormwater from 4,495 acres of residential, commercial, and industrial land. It will then divert the stored water to a nearby sewer trunk line, or treat it and release it back to the storm drain.